Showing 15 articles from November 11, 2013. 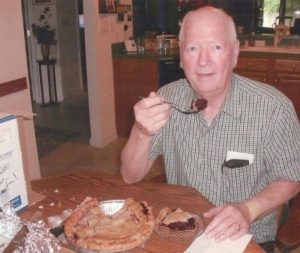 Wayne Arnold samples a blackberry pie baked by his friend Nona Hunt and mailed to the Arnold home in Louisville, Kentucky. The package took some extra care along the way and showed very little impact from its long journey. Blackberry pie travels from Raymond to Kentucky – by mail! We've all sent packages with items of varying degrees of fragility, wondering all the while if our precious items will be delivered intact. But few individuals have mailed a package with a freshly baked pie more than halfway across the country. That's what Nona Hunt of Raymond wanted to do. And did! Raymond HS Athletic Director Jason Koski announced that Raymond would play Wahkiakum this Friday at Aberdeen's Stewart Field. Kickoff is set for 7 p.m.
Traci Hoffman of South Bend, Jessica Cook of Valley and Dominique Kudasik of Valley faced the grinding hilly golf course at Sun Willows in Pasco. 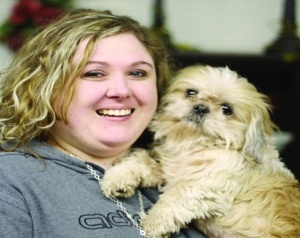 SOUTH BEND – Debra Lynn Kelly was sentenced to four years in prison on four drug charges. The action took place in Pacific County Superior Court Friday afternoon. 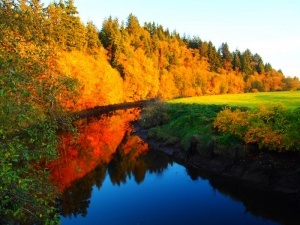 While bike riding with his sons, Zenith captured a photo of the mighty Willapa River during the sunset peak. At the monthly Pacific County P.U.D. Commissioners meeting, the primary subject was the announcement of the 2014 budget. OLYMPIA – State fishery managers have approved the second of two evening razor-clam digs this month, this one running from Friday, Nov. 15, through Wednesday, Nov. 20, at various ocean beaches. The South Bend voters responded with a convincing victory for Julie Struck over incumbent Kirk Church in the mayoral race with a walloping 85 percent of the vote. Struck amassed 388 votes compared to just 68 for Church, who said he wasn’t going to seek re-election and then decided to run as a write-in candidate. Photo by Scot Pearson Dawn Williams with Wilson, the official store greeter. Williams runs the South Bend Liquor Store and now has expanded her back room into a consignment shop. What is…in The Back Room? SOUTH BEND – If you are looking for that decorative item for your home, or are in need of that special piece of furniture, South Bend now has a place that is a bit tucked away, but well worth the visit. 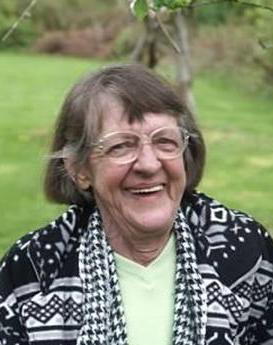 Mary Imogene Kjoberg, 89, died Saturday, November 9, 2013 at the St. Peters Hospital in Olympia. 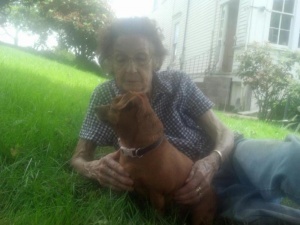 She was born December 31, 1923 in Wolf County, Kentucky to John Frank and Pearl (Gilbert) Cable. Photo by Larry Bale Hunter Gray pulls in a touchdown pass in the endzone for the Vikings in Friday's game with Adna. 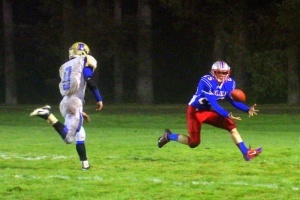 MENLO – Willapa Valley’s playoff season ended with a first round 27-9 loss versus Adna Friday night at fog-filled Crogstad Field in Menlo. The Vikings just couldn’t get anything going against the bigger, faster Pirates. 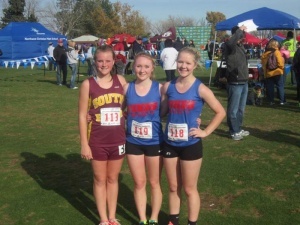 Hoffman, Kudasik and Cook at state meet. Photo by Larry Bale The Indians celebrate a point in their dramatic win over NWC (3-0) in a winner to State and loser out game. 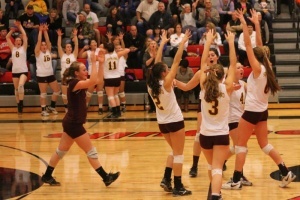 South Bend qualified to another trip to state volleyball under head coach Jackie Sanchez by defeated Northwest Christian in three close sets at the District IV tournament Saturday afternoon at the RHS gym.